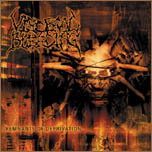 Visceral Bleeding - founded in the late nineties by Peter Persson on Guitar and Niklas Dewerud behind the Drums to perform what they thought was lacking in the Swedish death scene. A mixture of raw brutality and technical skill. With Calle Löfgren on Bass, Dennis Röndum on vocals and Marcus Nilsson joining in as a solo guitarist they had found the right mixture to play their extreme metal. The first demo "Internal decomposition" was recorded at studio Moonshine fall 2000 and received only good reviews. Chris at Retribute Records picked up on this and decided to sign the band and release a full-length album with Visceral Bleeding. 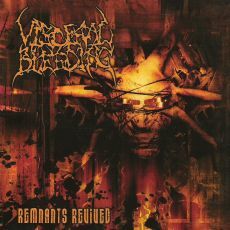 The album was called Remnants of Deprivation and was recorded during three weeks of Nov-Dec 2001 in Pama Studio in Kristianopel and Salt Island studio in Karlskrona and was released in March 2002. Shortly after the CD was recorded Niklas unfortunately had to depart from the band. He didn't feel he had the time and commitment it took to continue as drummer and wanted to dedicate his time and full attention to job as bass player in Spawn of Possession. Remnants of Deprivation received great response from all over the world and the reviews were overwhelming. 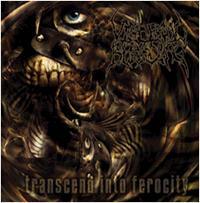 Visceral Bleeding was at this time picked up by Record label Neurotic Records and immediately started to write, arrange and complete songs for what was going to be the album "Transcend into Ferocity". Recorded, mixed and mastered by Visceral Bleeding and Robert Ahrling in studio Flat-pig - Malmö/Sweden during 3 weeks of Dec-Jan. Released through Neurotic Records in May 2004. Once again the reviews were overwhelming and Transcend into Ferocity made sure to establish Visceral Bleeding as one of the most extreme death metal bands out there. Following the release, Dennis Röndum decided he could not continue focusing on two bands without one of them being left behind. Realizing he could not give 100% to both, he decided to leave Visceral Bleeding to focus on his main obsession - extreme drumming in one of the most extreme bands ever to play Death metal: Spawn of Possession. 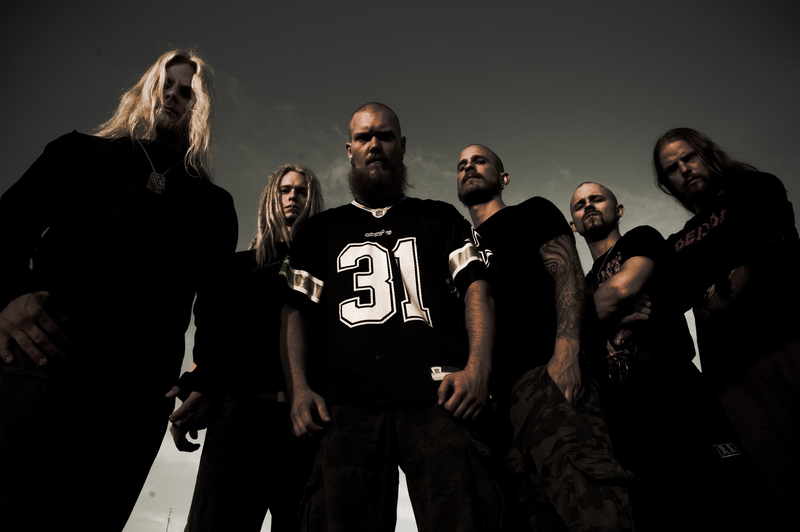 A replacement was found in Martin Pedersen who immediately joined in and gave the band a breath of fresh air with his 120% commitment, ambition and focus on the one goal: to further establish the name Visceral Bleeding in the scene of extreme death metal. Touring all across Europe as support band to Re-united Obituary and as main support to Death metal legends Deicide made sure to spread the madness and create a devoted fan base. To further strengthen their position in the genre, the band also did a headlining tour throughout the UK during spring 2005. During writing process of album number three Absorbing the Disarray, lead guitarist Marcus Nilsson decided to take a step back from the scene and in his place Martin "Germ" Bermheden was introduced to the band. The album was recorded in June 2006, once again using Studio FlatPig with Robert Ahrling as technician/producer. Directly following the recording Calle got married and had a daughter, he therefore had to take a step back from the band for a undetermined amount of time, filling his shoes in the band and helping out with the recording of Absorbing the Disarray was Martin “Body” Eklöv. Visceral Bleeding kicked of the new line-up and Album release with a five week European tour with Skinless / Cryptopsy directly followed by a four week European tour with Deicide.